The Greeneville City School System will hold registration during the week of April 8 – April 12, 2019, for all children who reside inside the Greeneville city limits and will be a new student entering kindergarten thru fifth grade for the 2019-2020 school year. Starting April 8, registration documents will be available on the system’s website and may be completed before attending the school to finalize the registration process. If needed, computer and assistance will be provided at each school for registration completion. Parents of kindergarten through fifth grade students making an initial request for out-of-zone enrollment will complete out-of-zone forms at the school in which they are zoned (not at the school where they wish their children to attend). Parents of kindergarten thru fifth grade children residing outside the Greeneville city limits who will apply as new tuition students must register their children at the Greeneville City Schools Central Office, at 129 West Depot Street, on Saturday, April 13, from 8:00 – 10:00 AM. This also includes Highland Elementary free tuition applications. Starting April 8, registration documents will be available on the system’s website and may be completed as the first step of the application process before arriving at Central Office on April 13 to finalize the application. Computers will be available to complete registration documents on-line on April 13. Parents will be allowed to make a school choice preference. The placement will be confirmed prior to the first day of school. Tuition applicants for kindergarten are required to have the Brigance Screening administered by the Greeneville City Schools during the summer. Parents will sign up for the screening at registration. Returning tuition students will no longer receive tuition papers in the mail but will be required to complete information as part of the returning student on-line registration process that will be available in the coming weeks. During the week of registration, parents should take the following items for their child to the school for which they are zoned: certified birth certificate, up-to-date physical examination/required immunizations form, and social security card. If a physical examination and the required immunizations have not been completed prior to registration, they must be completed before the first day of school, with the completed document brought to the school. No student may be admitted to school without proof of a physical exam and required immunizations. Students must be five years old on or before August 15, 2019, to enter kindergarten. State law requires that children successfully complete a state-approved kindergarten program before allowed to enter first grade. 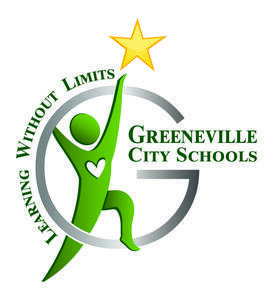 All children entering the Greeneville City School system for the first time must be registered so that personnel and materials are available at the beginning of the school year. For more information, please contact the Greeneville City Schools Central Office at 787-8000.